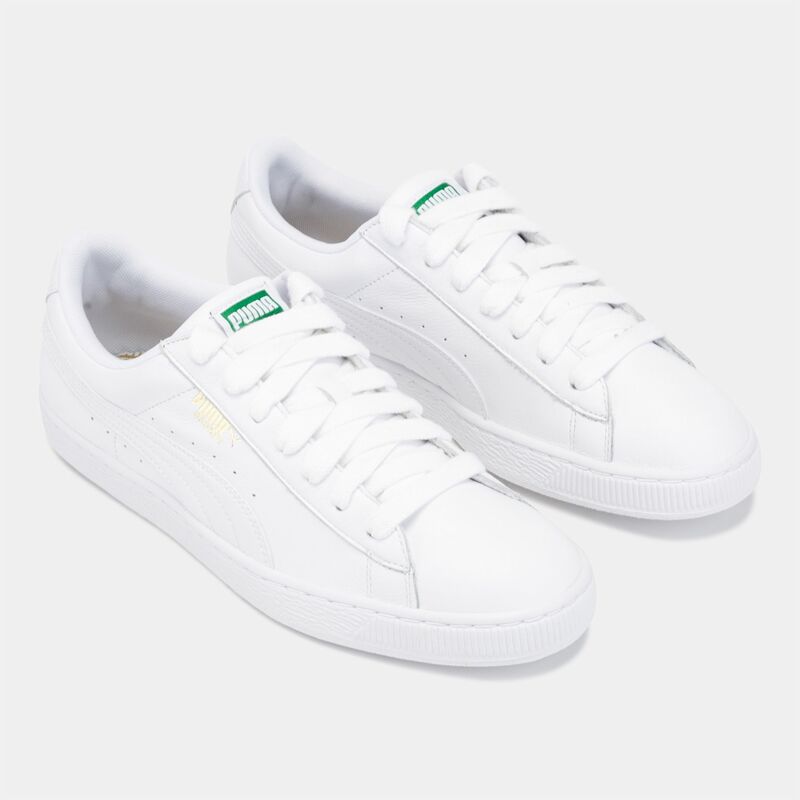 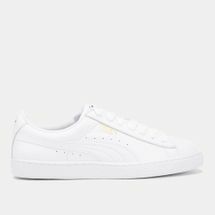 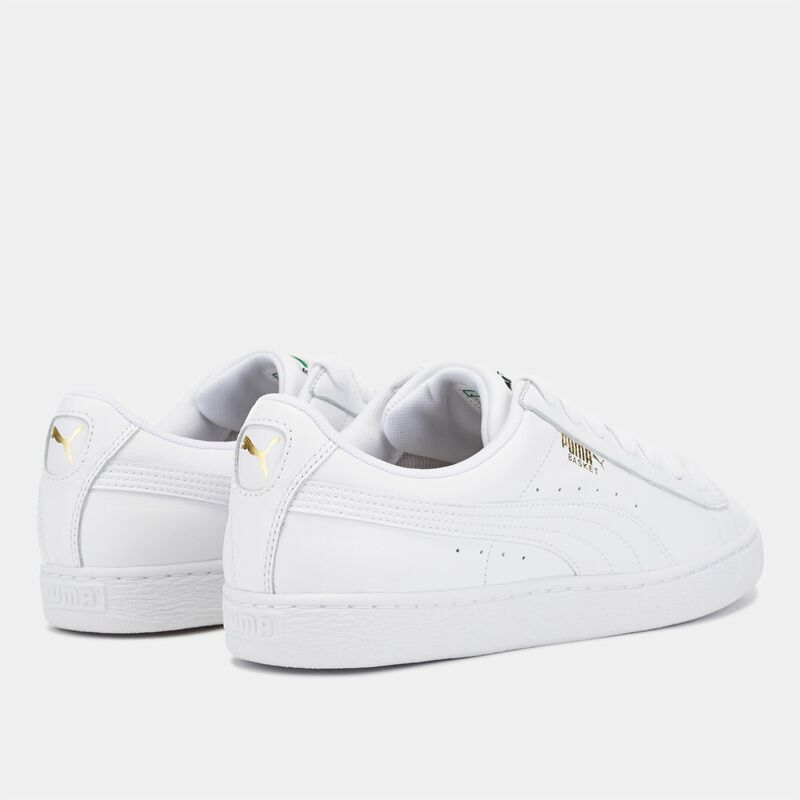 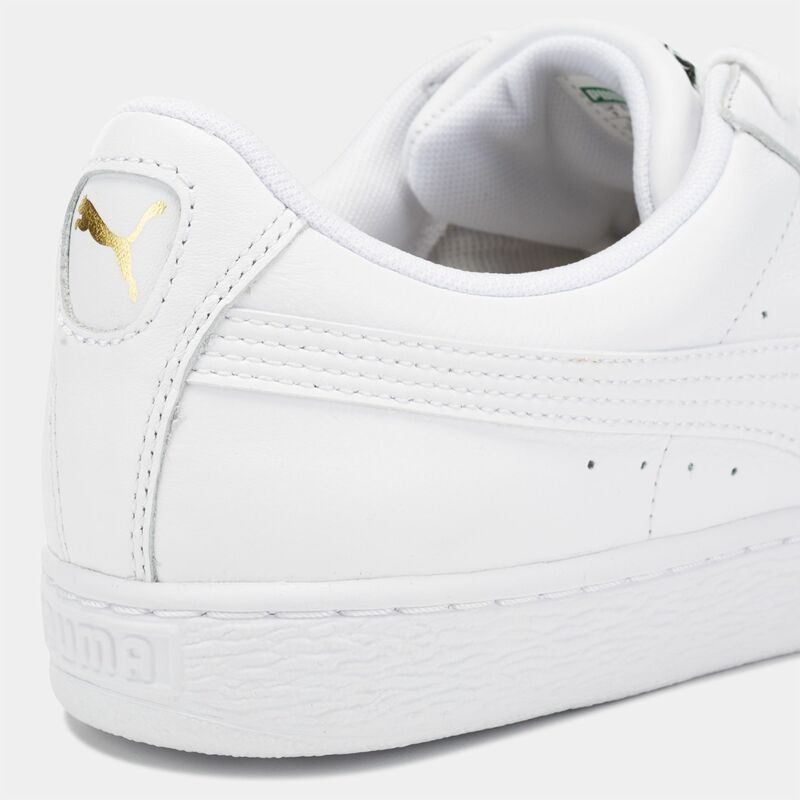 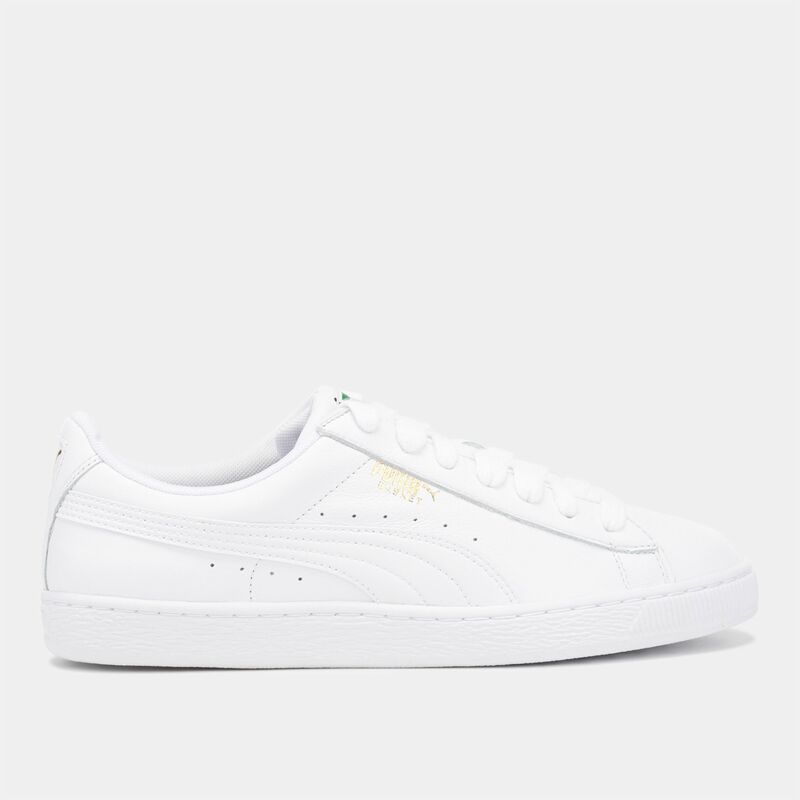 Clean lines and flat laces lend the PUMA Basket Classic Shoe for men a sleek look. 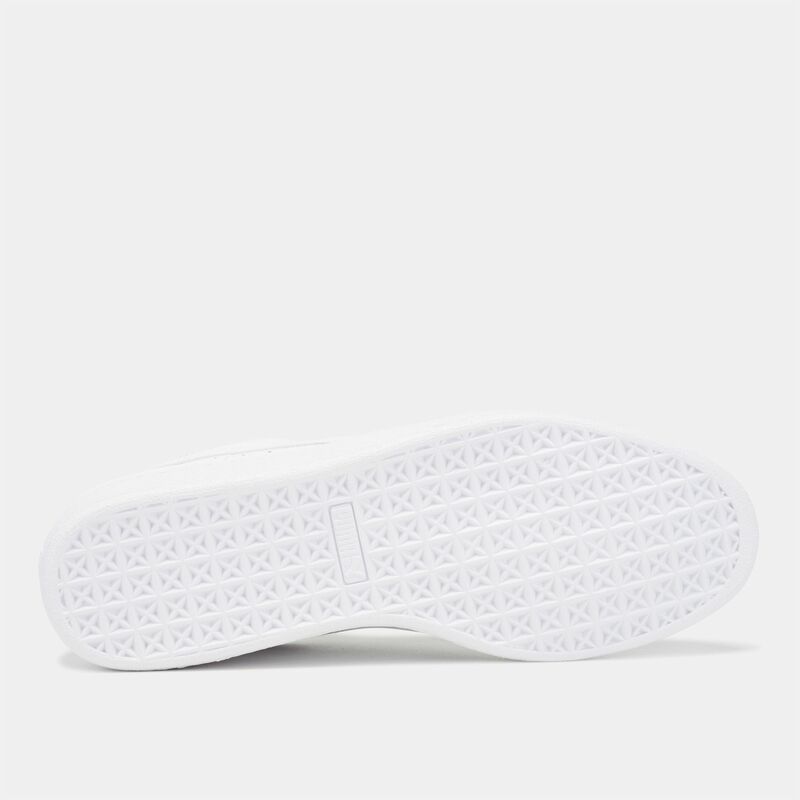 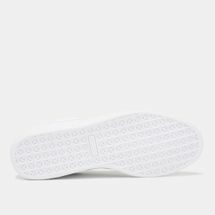 The round-toe construction features a leather upper with contrasting formstrip logos at the sides, and is set atop an abrasion-resistant rubber outsole for durability. 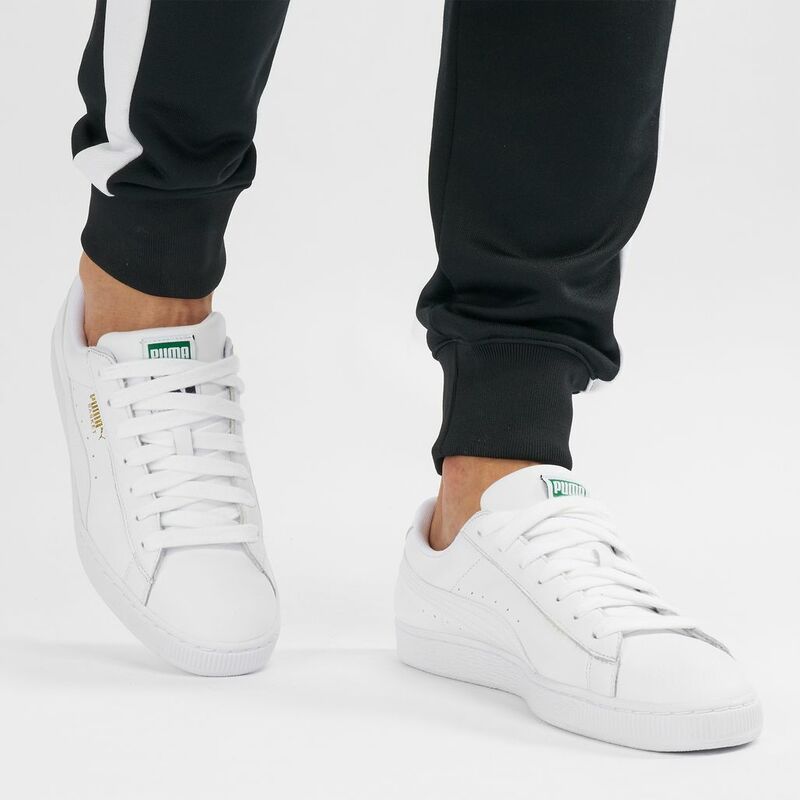 The perfect everyday shoe, this classic silhouette is a style staple.